When something happens and I think "wow that was amazing" I feel I should share it with you, and recently I had probably the best customer service I have ever had from a company/brand and since every month I have my "Mamma's Monthly Moans" series on my You Tube Channel where I tell you about all the rubbish things including bad customer service I've had, that have happened to me over the last month I wanted to share with you something good that happened too. Before Christmas Hannah mentioned to me that she was excited for the Lush January sale, but was worried she wouldn't be able to go and grab her bargains as her dad isn't too keen on the sales. I couldn't take her either because of my injuries and Cole was busy working so I told her to text me a list of things she wanted when she had had a look online at the sales items and I would order her the things she wanted and have them delivered here for her. She was very excited. Around the 20th of December Hannah and her friend came to spend the afternoon with me, she had finished school for Christmas that day and exchanged gifts with her friends, she had a bag full of Lush products, her and her friends are all mad on Lush and spend all their pocket money in there when they go on shopping trips so Hannah had received quite a few Lush things for Christmas from her friends and she couldn't wait to show me, needless to say she wasn't waiting for Christmas to open them. 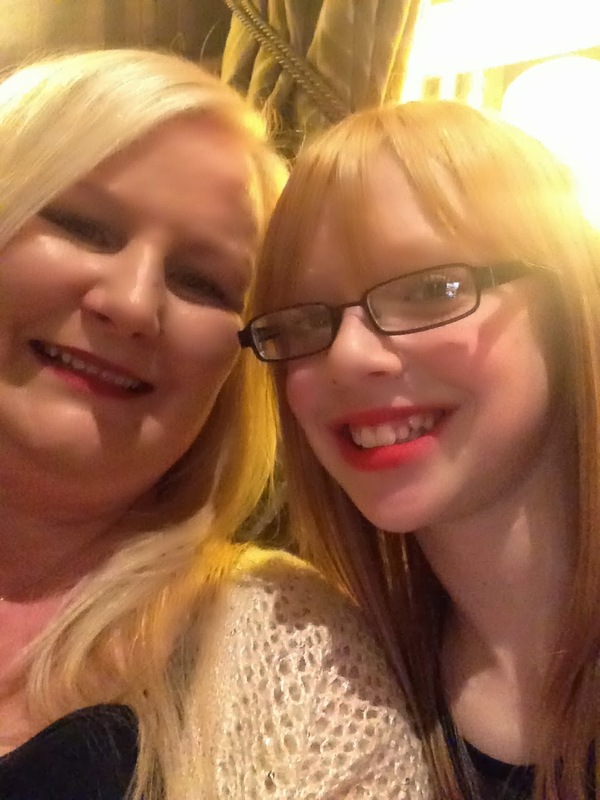 Hannah has been a huge fan of Lush since she bought her first product, a Mint Julips Lip Scrub in August 2012, since then she has bought masses of bath bombs and tried other flavours in the Lip Scrubs amongst other things. Every time she goes shopping she buys something and she spends hours on the website creating wish lists for her next shopping trip. The day after Boxing Day Hannah text me with her list of products she wanted from the Lush sale, she wanted one of the Christmas gift sets and a couple of bath bombs. I placed her order and it arrived on January 7th 2014. Hannah couldn't wait to come and pick her parcel up, she was so excited, she took the box home and said she was going to use one of her bath bombs that night. A little later on Hannah text me to say that 2 of her bath bombs had broken in half and the snowman bath bomb from her gift set was missing a face as it had come off, she was upset about it and said that it said in the parcel to email Lush if we weren't happy, so I promised I would email and tell them what she said. I emailed Lush customer service with our order number and I explained that Hannah loved Lush and it was our first experience using their site and that I had ordered the products for her because she is 14 so as her 'adopted mamma' I had ordered the products for her. I wanted to give Lush a bit of background info as I didn't want them to think I was just a moaning customer who was annoyed about my bath bombs being broken, it meant a lot to Hannah, it was her first online order and she was so excited and then really fed up when her things weren't as she expected. A few days later I received an email from a lovely lady called Lorraine who apologised for the products arriving broken and said she would replace the 2 bath bombs but the gift box was now out of stock that had the snowman bath bomb in so she would send a Bunty gift box instead. I was absolutely shocked that they were replacing the items and kindly sending a gift box too, I replied to the email and said thank you and how kind it was of Lorraine to do that. I thought we would get an email of apology which I could print out for Hannah I wasn't expecting anything like that and to replace the bath bombs and the snowman would have been extremely generous but to send a full gift set is out of this world! I decided not to tell Hannah, I wanted it to be a surprise as I knew she'd be over the moon. 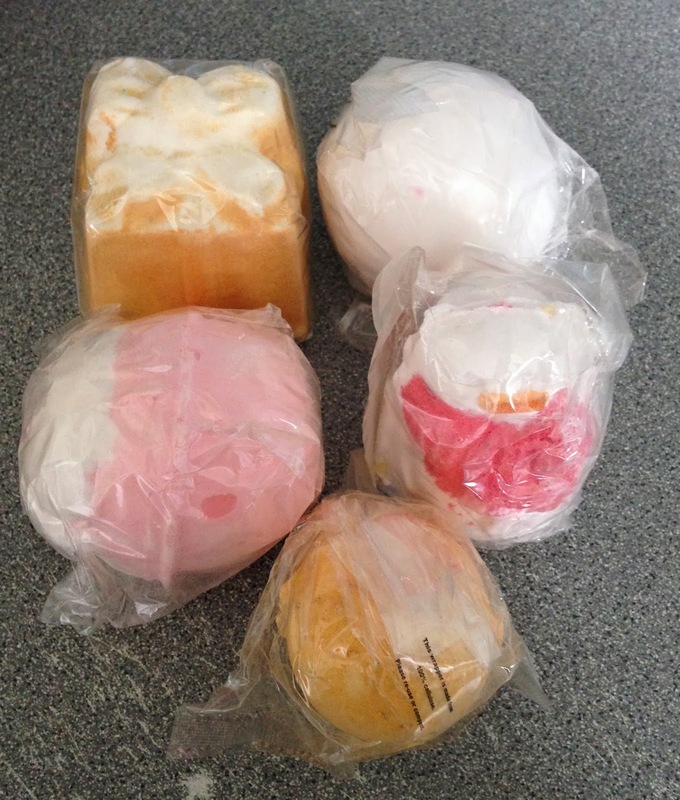 The day after a parcel came from Lush and I couldn't believe what was in it, not only had the 2 bath bombs been replaced, there was another snow man (complete with face) and 2 more bath bombs and the Bunty gift set! How amazing is that? I couldn't believe how kind both Lorraine and Lush had been, I opened the parcel and took these photographs and then put it all back in the box and text Hannah to say I had a surprise at my house for her. When Hannah opened the parcel she was absolutely thrilled, she was so happy and couldn't believe it, she was a very happy little girl and couldn't wait to use everything, she spent ages showing me each product and telling me all about them and what happened to each one as it was in the bath, we spent ages looking at each item and smelling them too, then we had a look online and she showed me all the things she has on her wish list. I wanted to mention Lush and tell you about their amazing generosity, I think Lush definitely deserve it. So many companies don't get the recognition they deserve and a lot of companies have terrible customer service and get bad name because of it but both Lush and Lorraine went above and beyond to make Hannah happy and they certainly did that, this has to be the best customer service I have ever had from a company, and I wanted to let you all know how kind Lush had been with Hannah. I told Hannah I was writing this post and asked if she wanted to say anything and she said " Thank you Lorraine and Lush, I really love everything and can't wait to use it all" and she had the biggest smile on her face too when she said it, she is absolutely thrilled to bits. Thank you Lorraine and Lush, you have made my lovely girl very happy and I really appreciate it more than you know, Hannah hasn't had the best time and any little bit of happiness means the world to her and to me too and I am extremely grateful to Lush and to Lorraine for their amazing kindness. Thank you so much from me and from my lovely Hannah. Do you know of any companies that deserve a mention because of their amazing customer service?